One of the important economic colaborations between Frankfurt and Japan has its roots in the nineteenth century, when the first Japanese Yen notes were printed in Bockenheim by the printing shops B. Dondorf and C. Naumann in 1871. Today, Japanese companies consciously choose Frankfurt when they want to enter the European market or focus on Europe. Japanese people living in and visiting Frankfurt are as much part of the cityscape as is the Japanese-built highrise that characterizes the city’s skyline. The Japan Center near Frankfurt’s Taunustor is regarded by many as one of the most attractive of the city’s skyscrapers. Frankfurt Economic Development GmbH is the reliable partner for Japanese companies both in the phase of settlement and in later business development. Are you interested in investment or networking opportunities? Then please get in touch. 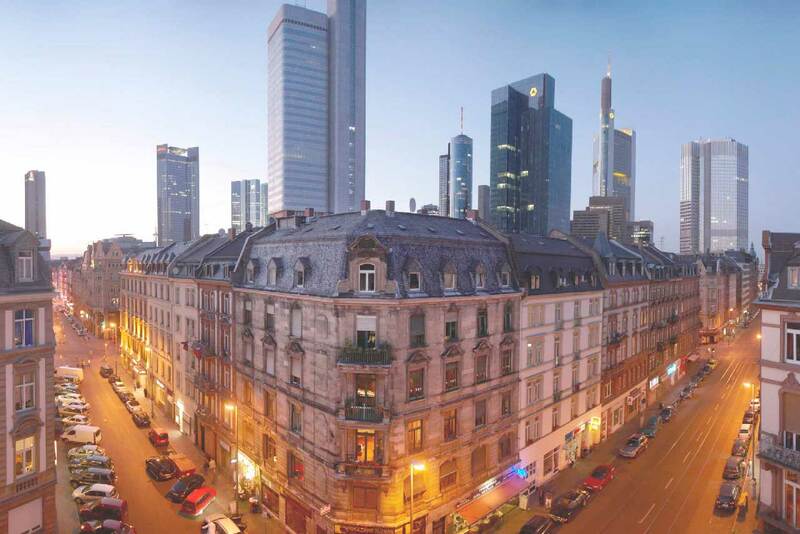 Companies which have set their sights on the European market are taking advantage of Frankfurt as a strategic location. Companies from Japan have consciously settled in the Frankfurt area to develop products or services specially adapted to the needs of the European market. On the occasion of the 150th anniversary of German-Japanese relations, the cities of Frankfurt and Yokohama decided in 2011 to enter into a town twinning. Both cities pursue the goal of strengthening the exchange in the areas of culture, environment, and business. Frankfurt offers Japanese businesspeople and their families a varied international and Japanese infrastructure. Japanese restaurants, language offerings, schools as well as business and cultural associations. The Japanese preschool was founded in 1996. It is the only state-certified Japanese preschool in Hessen and open to children of all nationalities. The Japanese International School is a state-certified extension school. It was founded with the intention of furnishing children of any nationality living in and around Frankfurt with a primary and secondary school education in Japanese. At the same time, the children are taught German to enable them to participate in life and culture in Germany. The center’s aim is to maintain and strengthen cultural relations between Germany and Japan, extending and deepening knowledge of the German and Japanese language, and supporting German-Japanese cultural exchange. Above and beyond that, the association operates a Japanese language school and offers the possibility of undergoing training to become a qualified teacher of Japanese. The Talk Talk language school offers German and English classes particularly to Japanese adults and children. Since its opening in 2005, the school has served more than 1,000 students. Research and teaching in Frankfurt’s Department of Japanese Studies focus on pre-modern and modern/contemporary Japan. It methodology is based on a solid foundation of linguistic, literary and cultural studies as well as the study of the history of ideas. Stressing the language component, this is the basis of appropriate research into Japan. This gallery is based in the center of the gallery quarter in Frankfurt’s historic district, opposite the Museum of Modern Art. In white, airy rooms possessed by understated clarity, choice works of traditional and contemporary Japanese art are displayed alongside works by contemporary international artists. Kyudo is one of the classical Japanese martial arts. Kyudojo Frankfurt, the largest club in Hessen and one of the largest in Germany, has been in existence since the early 1980s. The club has almost 100 members between the ages of 11 and 65, who practice the art of archery together. The tradition of the Japanese Film Festival “Nippon Connection” harks back to the year 1999. From the first Nippon Connection festival in June 2000 on, the organizers have not only shown current Japanese films but also other cultural activities from Japan. Nippon Connection has now become the largest showcase of current Japanese film outside Japan. The German-Asian Business Circle (DAW) was founded in 1995 and has since become one of the most influential economic associations with a focus on Asia. It is a network of more than 1,900 companies and institutions that strives to facilitate friendships between the countries of Asia and Germany and to bridge the gap between their respective cultures. Since its foundation in 1956, the Deutsch-Japanische Gesellschaft e.V. (German-Japanese Society) Frankfurt am Main has been striving to strengthen and deepen German-Japanese ties and cultural networks. The association regularly runs Japanese Days in Frankfurt and organizes many different cultural events. Vereinigung der Japanischen Unternehmen Frankfurt e.V., the association has set up offices at the Japanese Language Center in Frankfurt and organizes meetings between Japanese and German businesses. Likewise, the association organizes cultural get-togethers with Japanese and German people. c/o Japanisches Zentrum für Kultur und Sprach e.V.